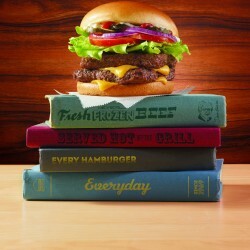 The Wendy’s Company (NASDAQ: WEN) is the world’s third largest quick-service hamburger company. 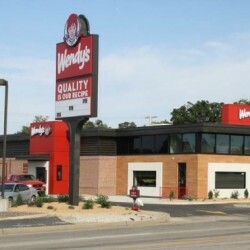 The Wendy’s system includes more than 6,500 franchise and Company restaurants in the U.S. and 29 other countries and U.S. territories worldwide. All elements of Wendy’s brand transformation are coming together in a powerful way in our sleek, contemporary Image Activation restaurants. Not only do these restaurants deliver a striking street appearance, they are designed to greatly enhance the customer experience. Prominent features include fireplaces; a variety of inviting seating options, including lounge chairs and booths; Wi-Fi and flat-screen TVs; digital menuboards and more. Coupled with friendly, courteous service, we’re working to create a welcoming ambiance that truly stands out.